Linear has made several acquisitions recently (Z-Wave products, 2GIG), tell us about those acquisitions and the reasoning behind them. Linear’s acquisition strategy is focused on finding brands that can help our dealers serve their customer’s needs more effectively and also help us meet the needs of our OEM partners that depend on Linear for industry leading designs and technology. 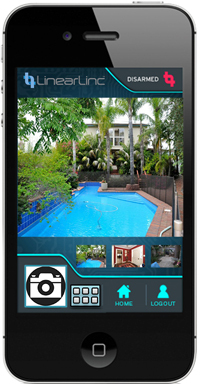 The Z-Wave product and 2GIG acquisitions prove our commitment to providing smart home technologies. Home automation represents a significant potential growth area for security and technology integrators and Linear is using acquisitions, in-house product development and other measures to ensure our partners and dealers have the resources available to capitalize on the growing demand for home control products. How have your recent partnerships and acquisitions strengthened the Linear brand? The acquisition of an existing family of Z-Wave lighting products was a sensible way for Linear to introduce a proven lighting control solution and easily unify it with existing security or access control systems and other Z-Wave products. The products also fit in nicely with our recent acquisition of 2GIG Technologies since 2GIG’s GO!Control platform is Z-Wave certified and provides an elegant and user-friendly control panel for the management of lighting, security, access control and more. Z-Wave enabled products represent the world’s largest ecosystem of interoperable smart products giving Linear dealers more options and opportunities in a variety of segments. Tell us about the integrated platform initiative. Our Integrated Platform Initiative is company-wide effort focused on creating common platforms that enhance the communication between and interoperability of Linear products. This includes introducing new control options for legacy systems, increasing compatibility with competitive and complimentary products, integrating product families together into single solutions and providing scalable options that help our dealers better serve a marketplace that demands increasingly connected technologies. It’s also about helping our dealers get trained and informed about cross-selling solutions they may not have considered previously. What is Linear doing to support its integrated platform initiative? Internally, we’ve established Specialty Business Units focused on security, health and wellness, and access control. Product managers, engineers and sales team members in each SBU are working together to utilize and develop common platforms based on current and future products as well as the needs of the marketplace. Our SBU leaders also convene to determine how each SBU can better integrate with the others. For example, Linear is one of the largest personal emergency response (PERS) equipment providers in the country, but there’s still a lack of general awareness among our traditional security dealers about the benefits of selling PERS and how to get started. An aging population with the desire to stay at home makes this an important growth segment, so our security and health/wellness teams are working together to increase awareness to make sure dealers have the training, collateral and other resources needed to sell into this market. What new products are coming that will highlight these initiatives? Two product platforms coming this summer is our LinearLinc™ and nuLinc™ solution. These products really get at the heart of what Linear is trying to accomplish with its Interactive Platform Initiative in a couple of ways. LinearLinc and nuLinc together are essentially a cloud-based interactive service and hardware solution that provides remote operation and monitoring of legacy security systems via cellular, wireless or wired IP networks. The solution provides useful benefits for existing security system owners and recurring monthly revenue opportunities (RMR) for dealers. 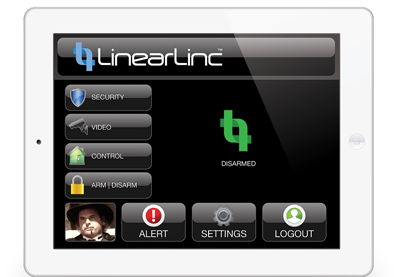 LinearLinc is the first remotely-connected, cloud-based ‘turnkey’ monitoring management solution Linear has brought to the market and works with a wide array of security systems from all different brands, including those developed and installed before widespread adoption of the Internet. Once installed, nuLinc allows bi-directional communication via a cellular connection to the LinearLinc service which can communicate with a dealer’s site, mobile applications, a web user interface or a central station. Customers interact with LinearLinc via a wireless smart phone app or Internet browser, remotely activating systems and more. LinearLinc is also designed for future facilitation of live/recorded video monitoring and integration, control of automation devices, and environmental controls; all coveted features of modern security systems. 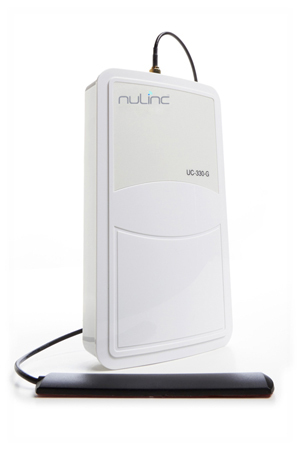 An internal Z-wave chip primes this future version of nuLinc as a wireless controller that can also set schedules with shades, door locks or other systems in the home, based around sunrise, sunset, system status, occupancy and other time or event-based conditions. What type of feedback are you getting from your customers on some of these new products? Based on our showing at the ISC West trade show in April, there is a lot of buzz around LinearLinc and nuLinc. Customers are definitely seeing the potential of having a solution that can give legacy systems the same functionality and intuitive user interface experience as modern security and automation systems. We’ve also received positive feedback for an integrated CCTV and access control management platform we’re working on with an industry partner. The exact details are still being worked out, but having a single box solution for all surveillance and access control management needs will make a lot of our dealer’s and customer’s lives easier. What training and educational resources has Linear invested in? We firmly believe education and training are critical to the success of the Integrated Platform Initiative. Working with new technologies and markets can be challenging so we’re taking multiple steps to prepare our dealers for the new opportunities that await. Linear has created a knowledge portal at LearnLinear.com that includes training videos, CEU Accredited Linear University classes at the Carlsbad, CA headquarters, Instructor Lead On-site CEU Courses, and Self-Paced E-learning opportunities. Beyond that, we have invested more in educational and training sessions at trade shows and are offering free webinars focused on digital marketing, social media and local PR. Linear is committed to creating a variety of tools and services to satisfy a diverse cross-section of training and continuing education needs. What’s the biggest difference between Linear now and 10 years ago? From a corporate culture perspective, the company has changed dramatically. We still participate in charitable and morale-building activities, but our use of social media, addition of bi-lingual customer and technical service reps, and streamlining of operations thanks to our SBUs and other initiatives have really transformed the company. Our relationship with Nortek has allowed us to expand product offerings and add highly-skilled engineers and support staff, solidifying our presence as a leader in wireless technology and OEM development across many different segments. The rise of the “connected home” has given us a renewed focus on improving integration of our garage doors, PERS devices, security systems, smoke alarms and other offerings… something that was not a major focus 10 years ago.